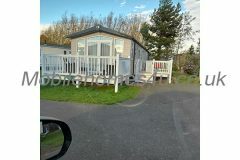 Spacious static caravan at Seton Sands Holiday Park, Port Seton, Scotland. 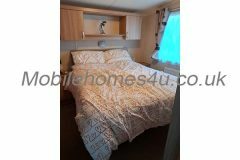 It has double glazing, central heating and is very equipped and even includes a washing machine. Spacious well presented living room with 32inch TV and built in DVD and basic sky channels. Kitchen has intergrated fridge & freezer, washing machine, microwave, etc. 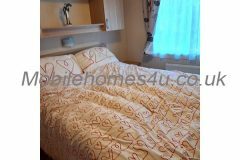 Main bedroom has king size bed with room around bed, en-suite w/c & hand basin, build in wardrobes and TV. 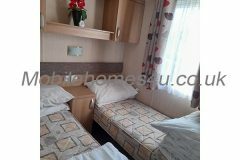 Second bedroom has 2 single beds and wardrobe. Also sofa bed in the lounge (door separates living room from kitchen if need to use sofa bed). Bathroom has sink, w/c and power shower. Outside there is 12ft /8ft decking with patio & chairs & table. Gas and electricity is included. Piped gas so no need to worry about running out. 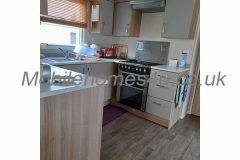 £50 Booking Deposit, balance required 4 weeks prior to holiday date. Payment by bank transfer or cheque. For Sat Nav postcode is EH32 0QF.